STUNNING Sabal Homes "Westwind floorplan in the sought after community of FishHawk Ranch! 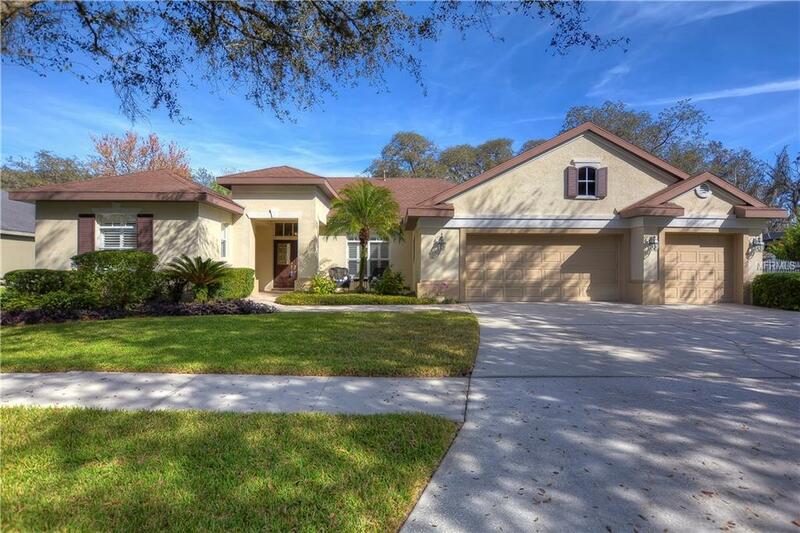 This lovely pool home has been wonderfully maintained and offers an outdoor living space that is to die for! Lanai boasts travertine floors, heated pool, stone accented spa and a gorgeous seating area with stone accented gas fireplace! 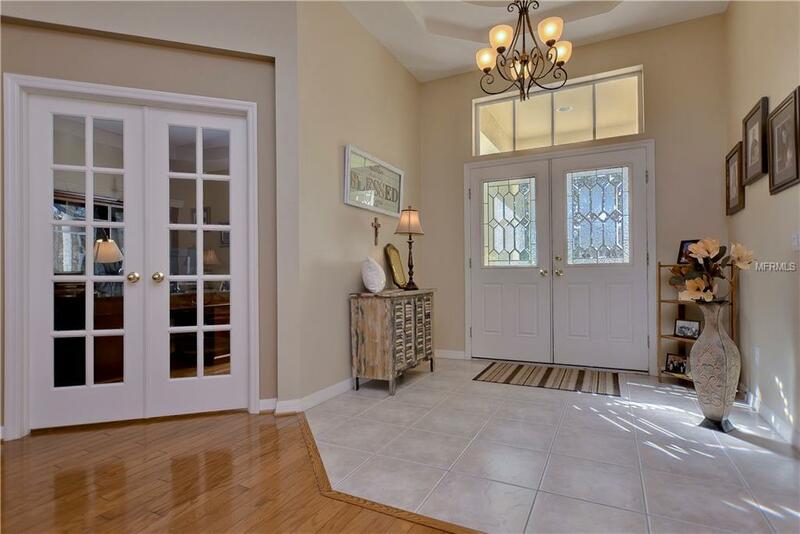 Inside awaits a bright open floor plan with combination formal living and dining rooms and a separate office space behind French doors. Move forward into the luxurious kitchen that offers 42 white cabinets topped with crown, stainless appliances and tons of space for storage in the center island! 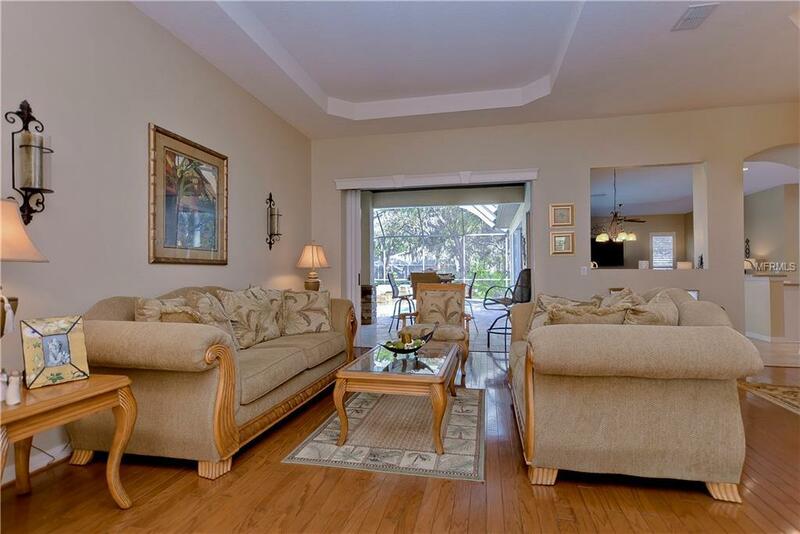 Family room also features rich wood flooring and another pocket slider opening to the lanai! This home offers a wonderful three-way split floor plan which keeps the master retreat secluded on one side of the home. This private space affords private exit to the lanai, his and hers closets and an en-suite with dual vanities, garden tub and walk in shower! All secondary bedrooms offer beautiful Pergo flooring, no carpet throughout the entire house so clean up is a breeze! This home is walking distance to Bevis Elementary, no car line for you! Zoned for some of the best schools in Hillsborough County! Community offers world class amenities including community pool, recreation center, gym and miles and miles of walking trails that lead you directly to your own backyard! Come take a look at this beautiful home, it could be yours today!